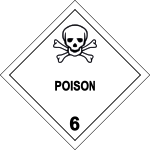 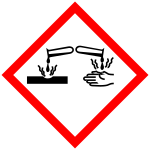 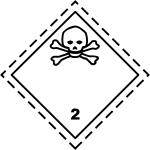 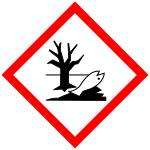 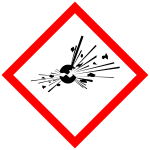 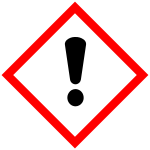 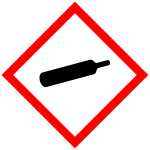 Hazard pictograms form part of the international Globally Harmonized System of Classification and Labelling of Chemicals (GHS). 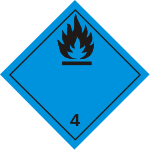 Two sets of pictograms are included within the GHS: one for the labelling of containers and for workplace hazard warnings, and a second for use during the transport of dangerous goods. 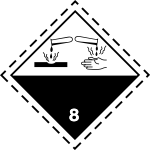 Either one or the other is chosen, depending on the target audience, but the two are not used together. 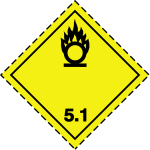 The two sets of pictograms use the same symbols for the same hazards, although certain symbols are not required for transport pictograms. 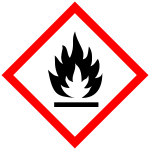 Transport pictograms come in wider variety of colors and may contain additional information such as a subcategory number. 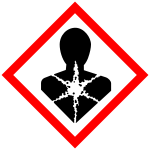 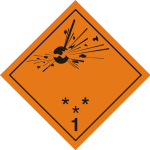 The GHS chemical hazard pictograms are intended to provide the basis for or to replace national systems of hazard pictograms. 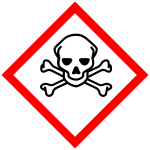 It has still to be implemented by the European Union ( CLP regulation) in 2009.